Now machines, such as automobiles, computers, and vending machines, can communicate without cables, by using GSM modems, modules and Terminals. We are suppliers of Sierra Wireless (Wavecom) QUAD/GSM/GPRS modems, modules, development and starter kits,data accessories and supplier of Cinterion (Siemens) products. 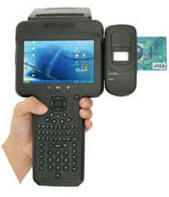 Recently introduced to our range are Sierra Wireless intelligent rugged mobiles,M2M Gateways and Routers. Also on-line are Sierra Wireless Airlink Fastrack programmable gateways.With our portfolio of GSM modems, Telemetry and data accessories, we will find a solution to meet your commercial and technical requirements. Recently Introduced Sequoia GSM Modems and Starter Kits. Suppliers of Sierra Wireless 3G/HSUPA Routers and GPS Units. Sierra Wireless Airlink Raven X, Raven XE, Raven XT Routers and Pinpoint X , XT Routers with GPS. 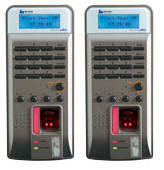 Sierra Wireless Airlink Fastrack Xtend Programmable Gateways. Sierra Wireless Airlink Fastrack Xtend GPRS, Xtend with EDGE, and Xtend 3G programmable Gateways. Sierra Wireless starter/cabinet kits for Airlink Fastrack Xtend GSM/GPRS/3G modems, comprising Quad Band GSM modem, 15/9 serial data cable, 12 volt power supply and 14/ wave dual band magmount antenna. Sierra Wireless Airlink GL61xx RS232 and USB Programmable Gateways. 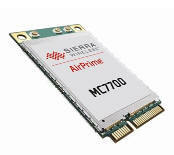 Sierra Wireless Airlink GL6110 USB and GL6100 RS232 Programmable Modems. Suppliers of Sierra Wireless (Wavecom) Modules, Terminals and M2M equipment. Sierra Wireless (Wavecom) Wismo Quik Q2686 and Q2687, supporting GSM/GPRS technology, available as a Development Kit. Cinterion Wireless Products. The very latest Cinterion GSM modems, modules and terminals, AC65i, AC75i, BGS2T,BGS3, EES3, EGS3, EGS5, HC25, MC52i, MC55i, MC66, MC75i, TC63i, TC65i, XT65,XT75 and GSM-R module TRM3. Cinterion MC35i and TC35I terminals have now been replaced with MC52i and MC55i modems. Cinterion MC52i, MC55i and TC65iT Vehicle, cabinet fixed installation and standard starter kits available.Standard Starter Kits comprising of terminal, 1/4 wave magmount antenna, 9/9 serial data cable and 2.5 amp inline power supply. New generation Cinterion terminals, BGS2T, MC55iT, MC52iT, MC66, MC88i and MC88iT. 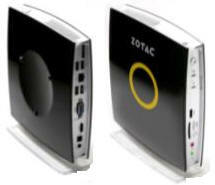 PC104, Industrial Modems developed from Cinterion Modules. GSM/GPRS PC104, Industrial and PCI Modems developed from AC75i,AC65i, BG2-W, HC25,MC55i,MC75i,TC63i,TC65i,EGS3,EGS5,EU3,XT65,XT75 amd XT85 Cinterion Modules. 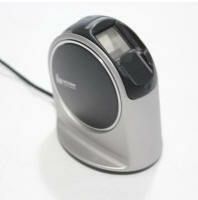 GSM/GPRS Quadband RS232/USB Terminals - Cinterion MC75i, TC63i, TC65i and CT63 (RS232/USB). GSM Industrial Modems. Cinterion BGS2T,MC55i,MC66 and MC88/MC88i Industrial Modems. GSM/GPRS RS232/USB with GPS Capability. Cinterion XT65 and XT75 GPS Modems. Terminals Suitable For Automobile Applications. 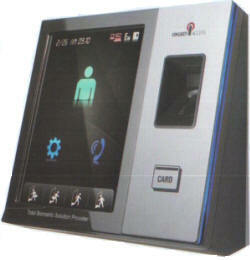 Cinterion AC75i Terminal suitable for Automobile Application. Telemetry units with analog/digital inputs and outputs. Use you mobile phone to control tasks such as garage doors, turn on lights, activate or de-activate alarm systems and control heating systems. The STD32 Quad-Band (Worlwide coverage) has 2 digital inputs, 2 digital outputs, web-server with a facility to add an IP camera, with the STD35 comprising 3 digitals inputs, 2 analogue inputs and 5 digital outputs. Also the SCOM-100 and Teltonika TWCT20 with 4 digital inputs, 2 analog inputs and 4 digital outputs. All units have CE and E Approval. SIM300EZ SIM300E Tri-band GSM/GPRS Module. SIM700DZ SIM700D Quad-band GSM/GPRS/EDGE Module. SIM700Z SIM700 Quad-band GSM/GPRS/EDGE Module. The Q2400 series offers the max in data flow with high-performance GPRS Class 10. The ultra slim profile – less than 4 mm. thick – makes it easy to slip the WISMO Quik Q2400 into any phone. And you can’t find a more reliable performer: millions of wireless devices and applications are operating on WISMO Quik Q2400 platforms on GSM/GPRS networks worldwide. Sierra Wireless SIMCOM Cinterion gsm cdma technology nokia cdma cdma data motorola cdma cell phone qualcomm 3g cdma news cdma cdma software samsung cdma gprs easy gprs gsm gprs easy gprs download celcom gprs modem gprs gprs setting gps gprs gprs vehicle tracking gprs tracking maxis hotlink gprs. Telemetry units with analog/digital inputs and outputs. CDMA modem, CDMA module, CDMA controller, CDMA data transfer system cdma cdma phone cdma cell phone cdma vs gsm cdma tdma cdma 2000 cdma gsm cdma technology nokia cdma cdma data motorola cdma cell phone qualcomm 3g cdma news cdma cdma software samsung cdma gprs easy gprs gsm gprs easy gprs download celcom gprs modem gprs gprs setting gps gprs gprs vehicle tracking gprs tracking maxis hotlink gprs edge gprs free gprs gsm gsm phone plus gsm gsm cell phone gsm cellular phone unlocked gsm phone, gsm america, gsm unlock, gsm beltonen, gsm unlock code, gsm network, nokia gsm, gsm mobile phone, gsm software, unlocked gsm cell phone, gsm forum.